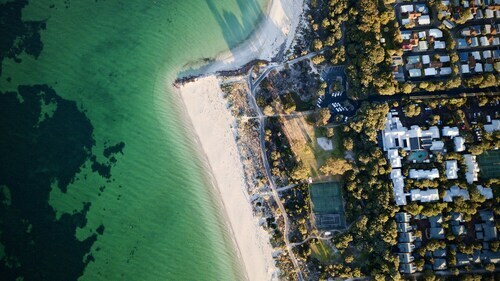 This Broadwater hotel is on the beach, 2.8 mi (4.6 km) from Busselton District Hospital, and within 6 mi (10 km) of Broadwater Par 3 Golf Course and Busselton Jetty Underwater Observatory. Busselton Museum and Busselton Visitor Centre are also within 6 mi (10 km). 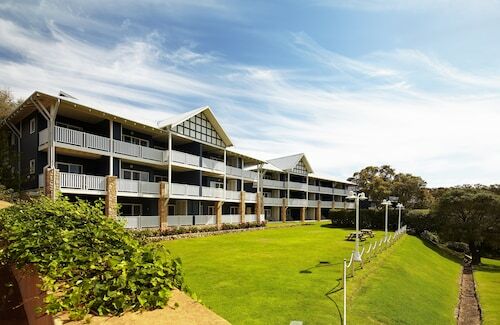 Nestled on the beach, this Broadwater resort is within 3 mi (5 km) of Geographe Bay, Broadwater Par 3 Golf Course, and Busselton District Hospital. Busselton Jetty and Busselton Jetty Underwater Observatory are also within 6 mi (10 km). Situated on the Strip, this romantic apartment building is steps from Margaret River Vistors Centre and Jahroc Galleries. Brewhouse Margaret River and Gloucester Park are also within 1 mi (2 km). Nestled on the beach, this Naturaliste hotel is within 3 mi (5 km) of Bunker Bay, Cape Naturaliste Lighthouse, and Sugarloaf Rock. Dunsborough Visitor Centre and Ngiligi Cave are also within 12 mi (20 km). 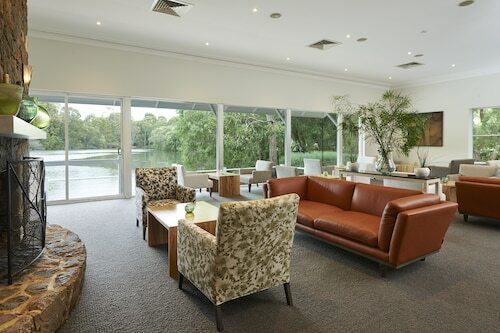 Situated in Margaret River, this hotel is within a 15-minute walk of Gloucester Park, Margaret River Vistors Centre, and Jahroc Galleries. Brewhouse Margaret River and Xanadu Winery are also within 3 mi (5 km). 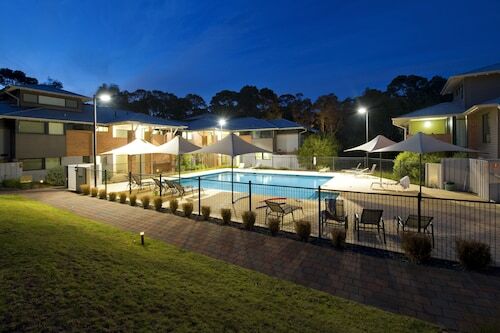 Situated by the ocean, this hotel is 0.7 mi (1.2 km) from Geographe Bay and within 3 mi (5 km) of Busselton District Hospital and Broadwater Par 3 Golf Course. Busselton Jetty and Busselton Jetty Underwater Observatory are also within 6 mi (10 km). 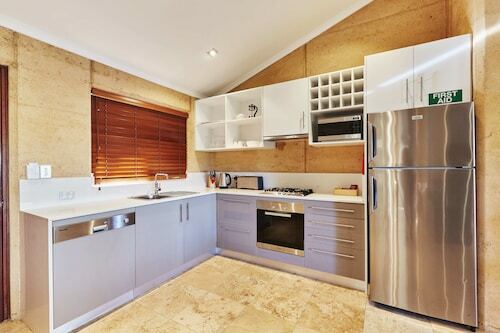 Situated near the beach, this luxury apartment building is 0.7 mi (1.2 km) from Ngiligi Cave and within 6 mi (10 km) of Yallingup Beach and Canal Rocks. Country Life Farm and Wardan Aboriginal Centre are also within 6 mi (10 km). 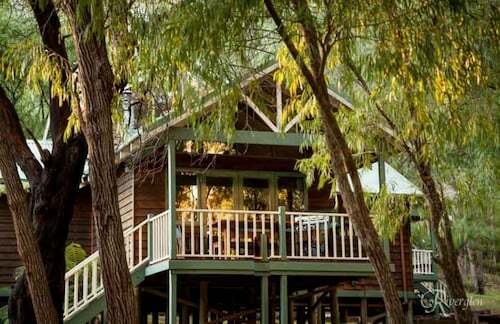 Situated in Margaret River, this bed & breakfast is within 2 mi (3 km) of Gloucester Park, Margaret River Vistors Centre, and Xanadu Winery. Jahroc Galleries and Brewhouse Margaret River are also within 2 mi (3 km). Situated in Metricup, this luxury apartment building is within 3 mi (5 km) of Fraser Gallop Estate, Woody Nook, and Churchview Estate. 3 Oceans Wine Company and Margaret River Silk Road are also within 3 mi (5 km). Perched in the south west corner of Western Australia, the Margaret River Wine Region is much-loved for obvious reasons! Famous for its world-class wineries and restaurants, the gourmet foodie culture and the beauty of the region, whether you’re a wine connoisseur or not you will love the Margaret River Wine Region. From the vineyards to the magnificent surf beaches, cute villages, towering forests and spectacular cave systems, come and explore what it’s all about. 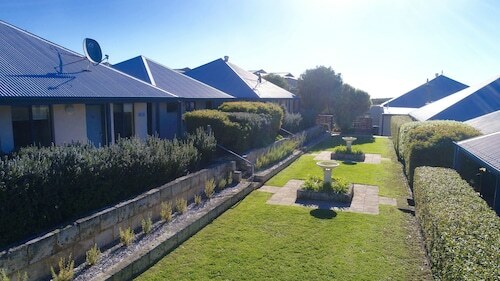 Book your Margaret River Wine Region accommodation with us below. There’s no better place to start your journey of culinary treats than the heart of the region at the Margaret River township. Explore the Wine Tourism Showroom in the Margaret River Visitor Centre before setting off with a few maps and pieces of local advice on how to tackle the long list of more than 100 wine producers. With some of the most picturesque scenery in the state here, the drive between cellar doors and vineyards is half the fun of exploring. But tasting your way around the region isn’t limited to wine! Pick up olive oil, fresh produce, premium cheeses, delicious hand-made chocolates and gourmet dips along the route to go perfectly with that bottle of your favourite drop. The region is also full of arts and crafts at every turn. Stop in at the many gorgeous towns throughout the area, each with their own distinct personality, to uncover the local artisan scene. You’ll discover gorgeous works of pottery, jewellery, sculptures, textiles, ceramics and paintings in the many art studios and galleries. 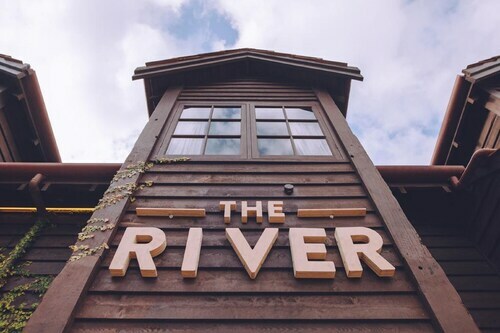 In the towns you’ll also discover a thriving restaurant and café scene, which use local produce, wines and gourmet items, so wherever you go it’ll always be an authentic Margaret River Wine Region experience. For a bit more adventure that doesn’t involve gluttony, the natural beauty on offer will never let you down. Discover the spa retreats, world-class surf beaches and ancient limestone cave systems of Yallingup. Or head to the historic Cape Leeuwin Lighthouse where you can watch the Indian and Southern Oceans clash (and maybe catch a whale sighting). Love exploring nature? Traipse the beautiful forests and scenic walking trails around Dunsborough, which is also home to some fantastic diving spots. From Prevelly to Gracetown and Busselton, where you can wander out along the longest wooden jetty in the Southern Hemisphere, the Margaret River Wine Region is packed with beautiful sights between the culinary adventures. With gourmet food, top-notch wineries, a vibrant arts scene, cute village vibes, and tonnes of adventures surrounding by the natural beauty of the region, you’ll get far more than just wine here! 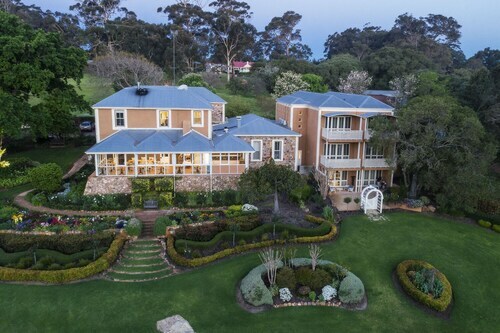 Check out our range of Margaret River Wine Region accommodation now - which includes two and three bedroom hotels for those with kids - and lock it in. 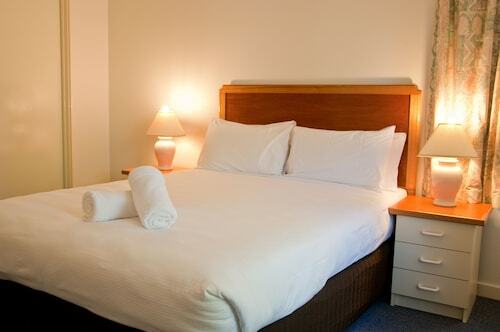 How Much is a Hotel Room in Margaret River Wine Region? 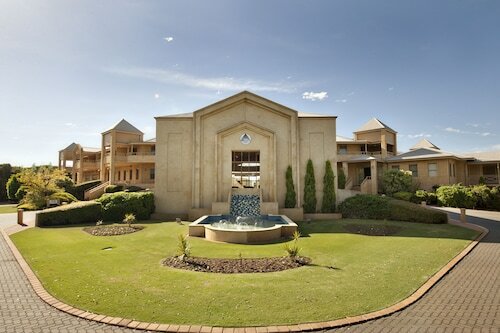 Hotels in Margaret River Wine Region start at AU$87 per night. Prices and availability subject to change. Additional terms may apply.